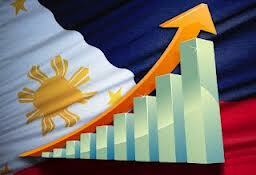 Filipino migrant workers contribute significantly to the Philippines economy through their remittances. The overseas Filipino worker’s (OFWs) contribution is recognized by the government and are hailed as ‘new economic heroes’ as their economic contribution provides much needed stability for the ailing Philippine economy. The National Economic and Development Authority (NEDA) announcement that the Philippine economy has become less dependent on remittances from overseas Filipinos is a welcome development. Especially so that in the last three decades the Philippines economy is saved from eventual collapse by the remittances of Filipinos working and residing overseas. However, NEDA stressed that the country will not be totally independent from money sent from abroad, as remittances continue to be a significant source of investments. The exodus of Filipinos working abroad is nothing new, the first quarter of the twentieth century labor migration was spearheaded by seasonal farm workers or known as the sacadas to work in Hawaii’s big agricultural plantation where it continued up to the time of the Philippine Commonwealth. In the 60’s a wave of Filipino workers were largely professionals mostly in the medical profession who fill the demand of these workers in the United States, Canada and other European countries, thus the term ‘brain drain’ was then born. In the 70’s a much expanded categories of workers ranging from engineers, construction workers, nannies, domestic workers, medical workers and entertainers were deployed. Those hired workers abroad were known as overseas contract workers (OCW) then later renamed to overseas Filipino workers (OFW). The bulk of these workers find employment in the middle east, Africa, North America, European countries and neighboring Asian countries. Since then it has become the cottage industry of majority Filipinos who could not find work opportunities that could sustain a decent life in their own country. According to Dr. Rosemarie Edillon of the NEDA-National Planning and Policy Staff (NPPS) the growth in the country’s net primary income, or the difference between money received abroad from money paid abroad, has been declining as reflected in the gross national income (GNI). She explained that two measures are used to report the country’s economic performance, namely, the gross domestic product (GDP) and GNI. The former (GDP) measures the value of goods and services within the country, while the latter GNI) incorporates net primary income from abroad that includes remittances. “Whenever our growth in net primary income is higher than GDP, it means that we are heavily relying on remittances. 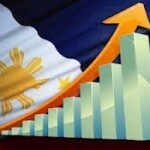 But in the past few years, the Philippines’ GDP growth has been higher than its net primary income from abroad,” said Edillon. Edillon noted that the pattern started to reverse in 2011, with GNI growing by only 1 percent compared to GDP growth of 3.9 percent. “For the first quarter this year, GDP grew 6.3 percent, while net primary income only grew 1.7 percent. While net primary income rebounded to 4.5 percent in the second quarter, it is still lower than the 5.9 percent GDP growth for the said period. In the economic profile, we are seeing the case where our GNI growth is actually less than our GDP growth, which is a good thing,” Edillon said.